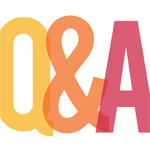 It's been a while since we had a Q&A! We've collected questions from the congregation over the material we've covered in the first four chapters of 1 Corinthians, and Pastor Gabe will be answering those questions in Sunday's sermon. After church today, we'll be having a members meeting. Pizza will be served downstairs in the fellowship for those attending, and then the meeting will be in the sanctuary. All members of FSBC are encouraged to attend. Good Food for Everyone and AWANA for the Kids! 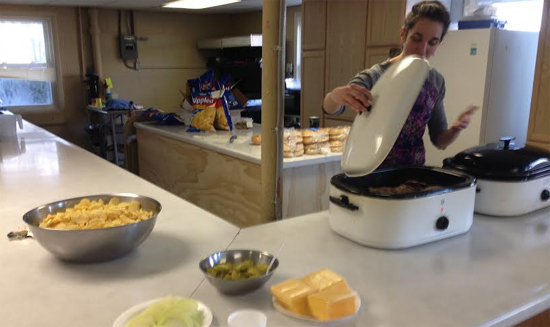 Tonight for our fellowship meal, we'll be having cheeseburgers with all the fixings, potato chips and drinks. The cost is $2 per child, $4 per adult, or a max of $8 will feed the whole family. The meal starts at 5:00 and then AWANA, Trek, and Journey for grades K-12 begins at 6:00. We do this every Wednesday night during the school year! Don't forget that today after church, we'll be having our annual AWANA spaghetti luncheon in the fellowship hall! Also featuring our cake and pie silent auction. All of the proceeds go to benefit our AWANA program, teaching our children Bible memorization on Wednesday evenings. Pastor Gabe will be preaching from 1 Corinthians 4:8-13 today in a sermon entitled Exhibited. Sunday school is at 9:30 and the worship service is at 10:30. Continue to pray for Chris and Adrea Solano as they enter their last week of the work they're doing in Sierra Leone. The following is a photo of one of the new buildings they are working on, helping to provide updates to the orphanage and church they're ministering to. Hey, church! That eye-sore of a hole that's been in the front of our building all winter has now been filled and mound of dirt is gone! Thank you to C&K Construction for their work. The front parking lot will be a mess this evening, and the tractors will likely need to be loaded up on flatbeds. So we're asking that you please park in the back for our Wednesday night activities. We're serving nachos at 5:00. The cost is $2 per child, $4 per adult, or $8 will feed the whole family. Then at 6:00 is AWANA, Trek, and Journey for K-12! This morning, being the first Sunday of the month, we will be partaking in the Lord's Supper. Prepare your hearts as we gather together at His table. Pastor Gabe will be preaching from 1 Corinthians 4:1-8 in a sermon entitled "Received." Sunday school is at 9:30 and the worship service is at 10:30. Chris and Adrea Solano arrived safely in Africa a few days ago. 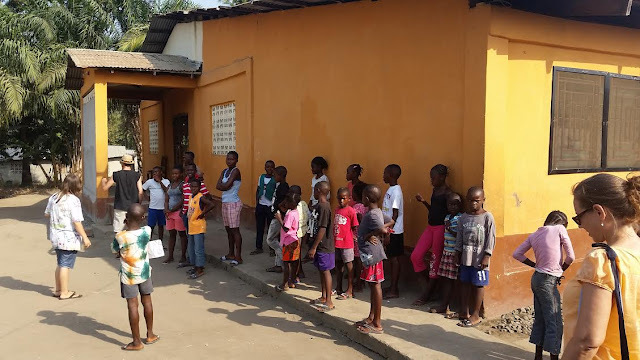 They sent us an update this morning, having had the chance to see the orphanage where they will be doing some work (picture below). Continue to pray for the missions work they are doing, sharing the gospel and caring for the missionaries there.